Date of Construction 1912 AD. Wang Suan Kulab Throne Hall is Victorian style architecture with distinguishable applications of Orental motif and designs to some building details. 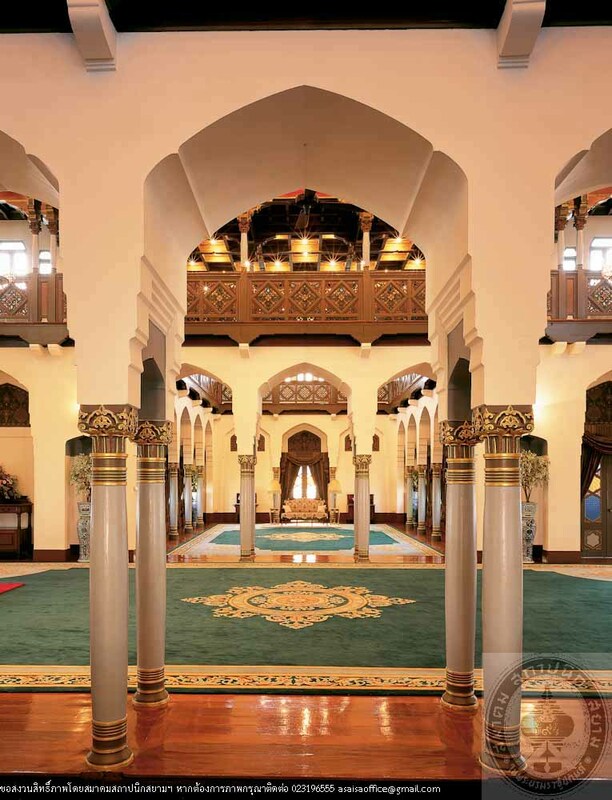 It is beautifully decorated with fretwork, woodcarvings, stained glass, and fresco on interior walls. 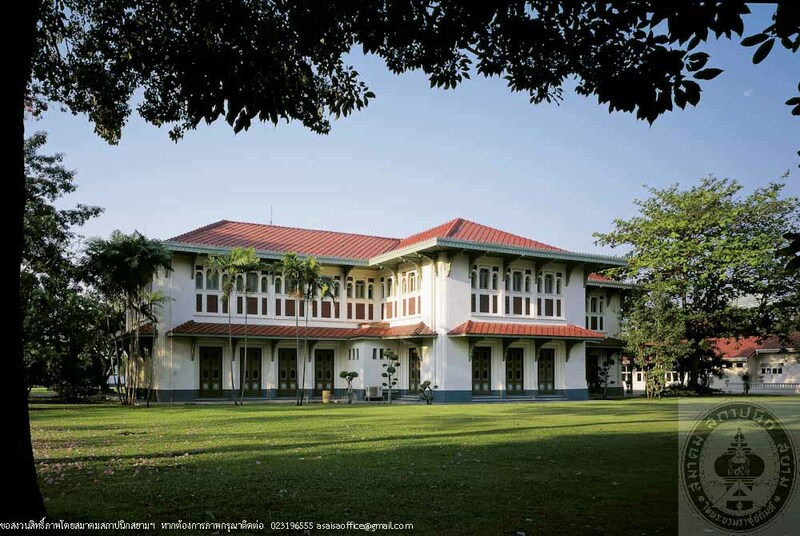 Suan Kulab was originally founded by King Rama V as a temporary hall in Suan Dusit Palce compound. 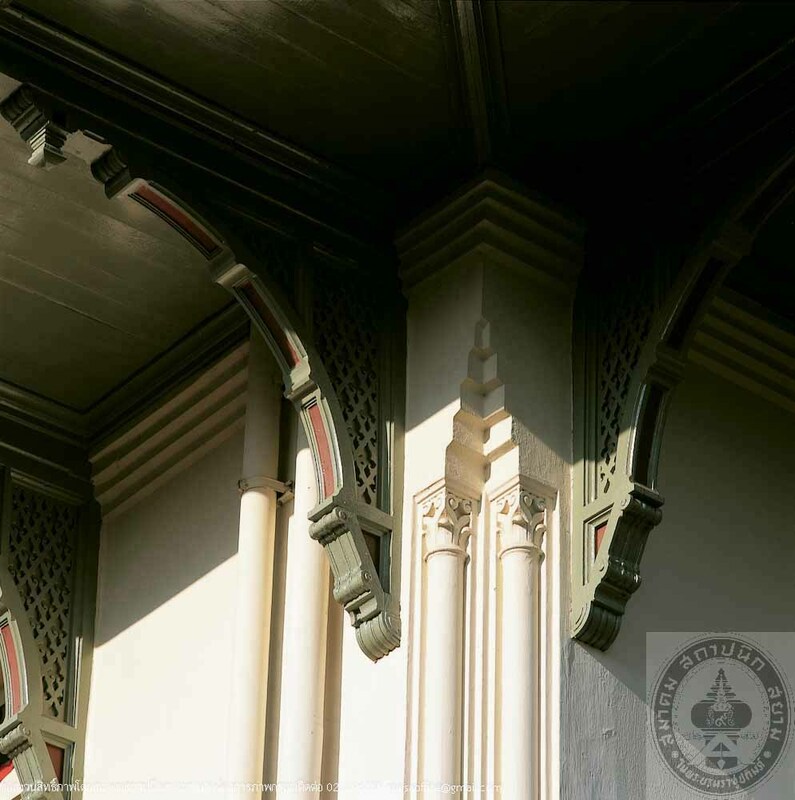 It used to be a residence of Admiral Prince Asadangdechawut Krommaluang Nakhon Ratashima, the Minister of Naval Defence. Permanent Pavilions and throne hall were built in 1912, King Rama VI’s reign. After the last royal residents passed away, this building became an office of the Internal Security Operation Command until 1964. Then served as an office of Division of Savings, Special Services Department of Royal Thai Army from 1971 to 1993. In 1993, the Special Services Department had restored the main building, outbuilding and the wall supervision of the Fine Arts Department. 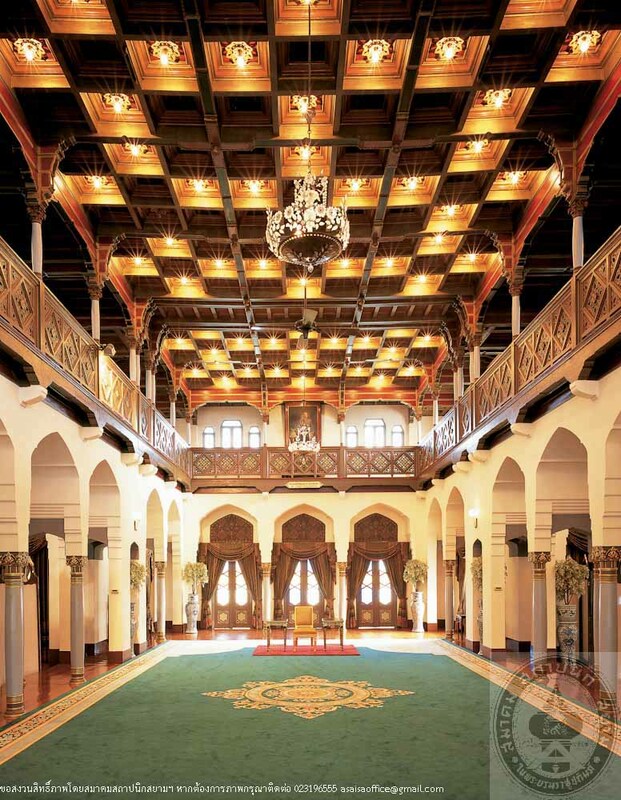 The hall is at present part of the royal residence of Princess Somsawali Phra Worarachathisnaddamat.